YoYoExpert Blog & Yo-Yo News – New Release from TopYo! The Refraction! 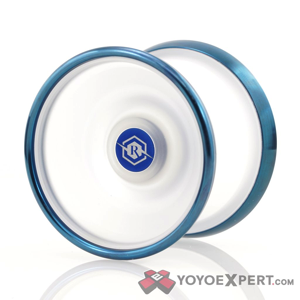 TopYo has produced a bunch of fantastic yo-yos; Aluminum, bi-metal, and plastic designs. Now they’re taking all their yo-yo design knowledge and implementing it into their first polycarbonate plastic and Stainless steel hybrid design! The Refraction! The Refraction has a comfortable feel in the hand with a powerful and fast feel in play. 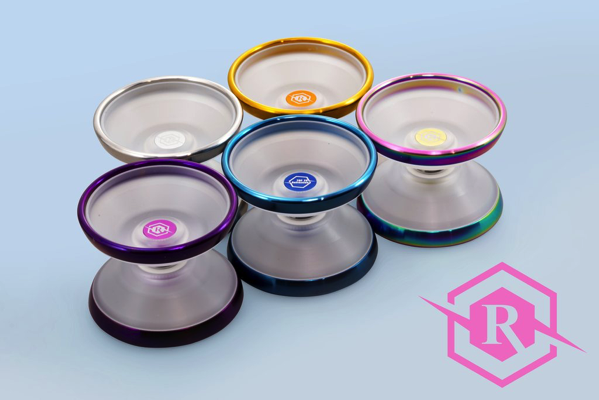 The hefty stainless steel rings make up more than half of the total weight of the yo-yo, pushing the weight distribution as far to the outer rim as possible. That amount of rim weight gives it an impressive spin power while the light overall weight keeps the Refraction fast and nimble on the string. Available with a clear plastic body and a variety of steel rim colors, the Refraction has a clean look that will fit in perfect with any collection!